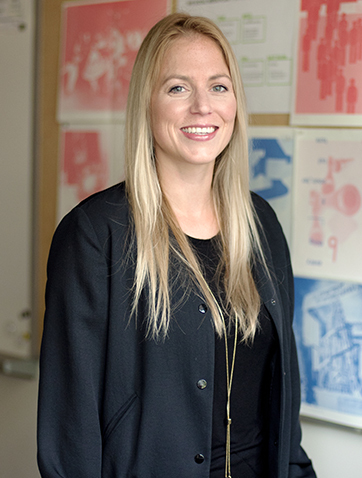 Theresa is a graduate of the School of Design at George Brown College with an Ontario College Advanced Diploma in Graphic Design and a postgraduate certificate in Interdisciplinary Design Strategy (IDS). Theresa works in the Field Education Office for the School of Design and the School of Media & Performing Arts. She works with industry organizations to provide students with internship opportunities. As a graduate of George Brown, Theresa is pleased to be in a position of support for future graduates. Theresa is an avid dog enthusiast who fosters dogs and works with rescue organizations. She’s travelled to Serbia to bring at-risk dogs back to Toronto for rehabilitation and adoption. She feels very lucky that she’s in a position where she can be of assistance to at-risk dogs. When Theresa is not working, you can find her either taking her rescue dog, Cole on long hikes exploring her community or spoiling her adorable niece and nephew.